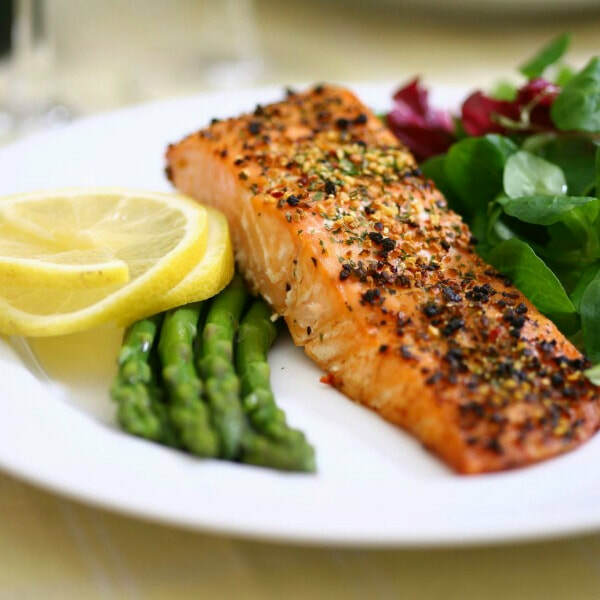 Salmon is full of healthy omega-3 fatty acids that can help improve blood pressure and heart health. This Smoky Mustard Salmon recipe is packed full of flavor. Try it with one of our side dishes or on top of a salad. Combine mustard, paprika (or chipotle) and pepper in a small bowl. Place salmon fillets on the prepared baking sheet. Spread the mustard mixture evenly on the salmon. Roast until just cooked through, about 8-12 minutes. Notes: Cost will depend on the market price for salmon. Keep your eye out for when its on sale!